Welcome to the EliteMMO Network! Clipper is the most well known third-party tool for Final Fantasy XI, offering the ability to do various hacks. 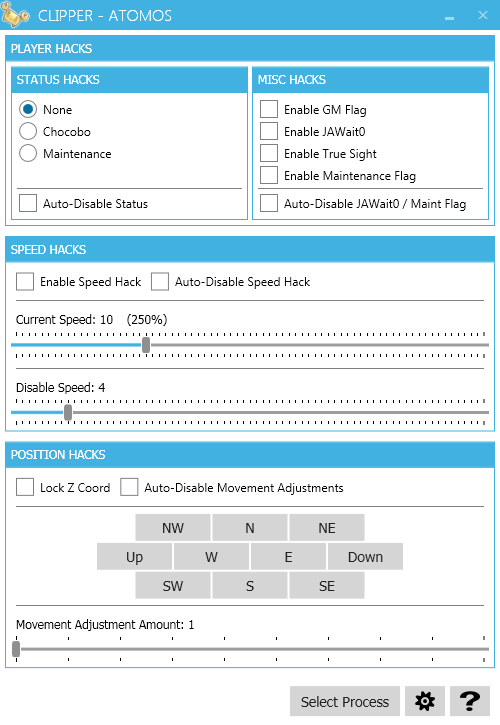 Users are able to alter their status, apply various flags, speed hack, position hack, as well as see other invisible players. Clipper also offers a full anti-detection mechanism to help prevent players from being caught while using the tool. FantasyWarp is a simple click-to-warp application allowing users to literally click on a map and instantly teleport to the given location. 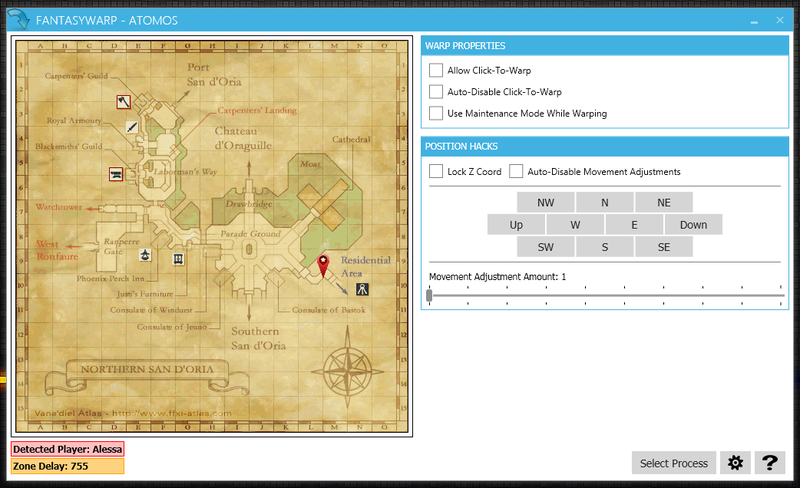 Position adjustment tools are included to help correct some tricky spots that FantasyWarp cannot automatically adjust for. FantasyWarp also includes the same anti-detection as Clipper to help keep players safe while they cheat. Wardrobe is a tool that allows players to change their visual appearance. While using Wardrobe, players can alter their entire look from their race down to their shoes. Players can also turn themselves into various creatures via costume ids. Wardrobes changes are 100% client sided and do not give players any stat bonus' from the gear, so this tool is 100% safe to use while playing. Baggage is a light-weight tool that allows users to browse their various character inventories while off-line. Baggage parses the users local sorted inventory dat files that the client updates each time you zone. Baggage links shown items to FFXiAH for quick item lookup on the AH to help users keep their mules inventories nice and clean. XiClaim is the oldest and still active bot for Final Fantasy XI. For over 10 years, XiClaim has been one of the go-to applications for the hit game. XiClaim offered various tools such as: Claim bot, Fish bot, Craft bot, Scripting, OnEvent tool, Mapped / Overlay radars, Navigation tool, along with extensive scripts. EliteAPI is the new premier API developed for use with any third-party tool for Final Fantasy XI. EliteAPI is released, for free, to help users that are not as savy with game hacking get into making bots with a pre-created set of tools and functions. EliteMMO.API creates a bridge between EliteAPI and .NET. Since EliteAPI is written in C++, EliteMMO.API was created to help wrap up the functions exposed in EliteAPI and get users started very fast in creating their own tools. FantasyFisher is the new replacement fishing bot to succeed the original fishing bot found in XiClaim. 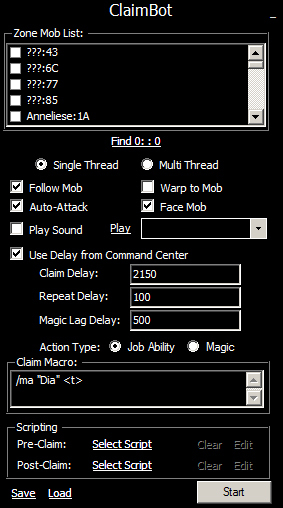 FantasyFisher implements a state-machine based fishing cycle to ensure you are fishing the most efficient way possible. 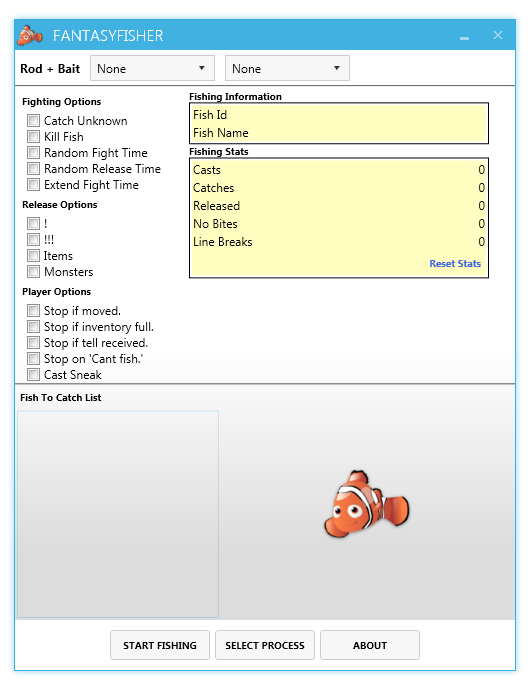 FantasyFisher includes numerous settings allowing users to take full advantage of fish botting with ease. 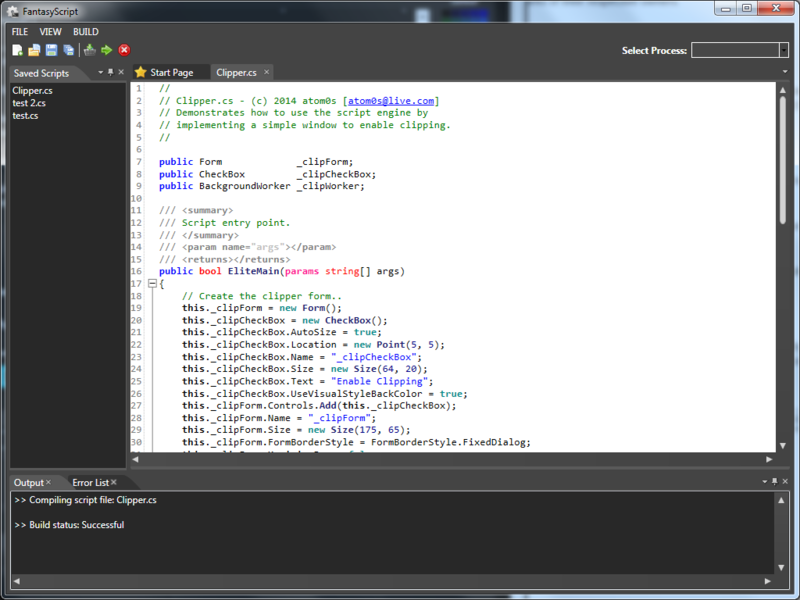 FantasyScript is a full-scale IDE (interactive-development environment) for those whom are not so good with programming a full application from scratch. With FantasyScript users can easily get started in scripting quick throw-together snippets that can help with basic tasks all the way to creating fully-featured bots, all without ever having to download any other programming language tools. TSGE (or Terraria Save Game Editor) is a fully-featured save game editor for the popular Steam game, Terraria. 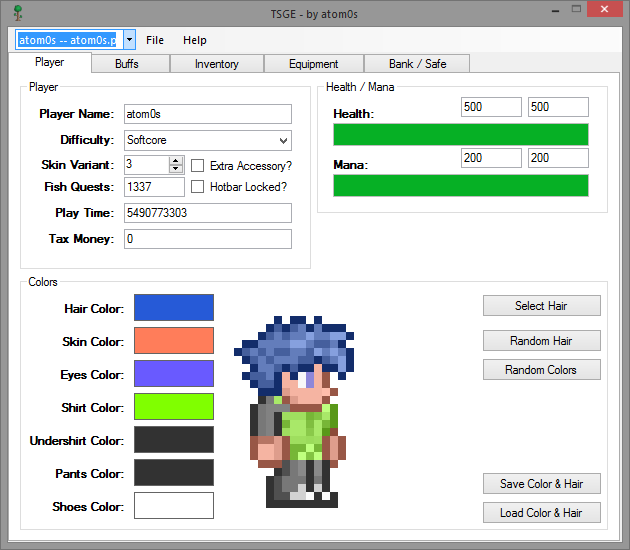 With TSGE, users can easily edit [nearly] every aspect of their save game file, with just a few simple clicks. Take full control of your character, gain any item in the game, change your default style and haircut. tBypass is a simple application that allows players to launch Terraria without Steam running. This is useful for those do not wish to have Steam monitor their online presence in the game or similar. tBypass also includes the ability to remove the splash screen while the game loads as well as enforce the collectors edition on the game (without editing your system registry). tBypass does not alter your game executable either so you can play Terraria as normal just by simply loading it through Steam.